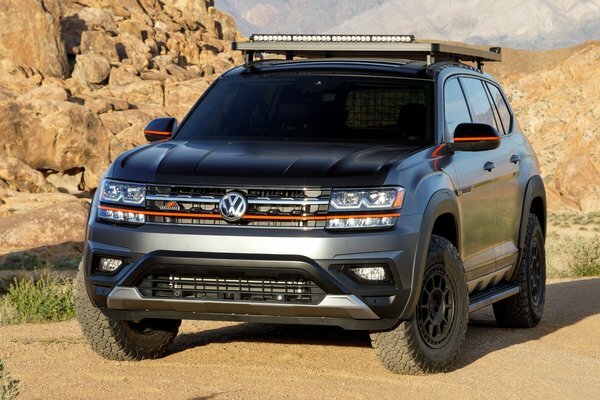 Volkswagen of America, Inc. is pleased to introduce the Atlas Basecamp Concept, which showcases a few of the many ways that the capable Volkswagen Atlas can be enhanced for trail seekers. Featuring a custom body, lift kit, custom wheels, all-terrain tires, roof rack with bike mounts, and LED light bars, the Atlas Basecamp Concept is ready for adventure. The Basecamp Concept-designed with endurance mountain biking in mind-is the brainchild of Alex Earle, Exterior Design Manager at...Read.